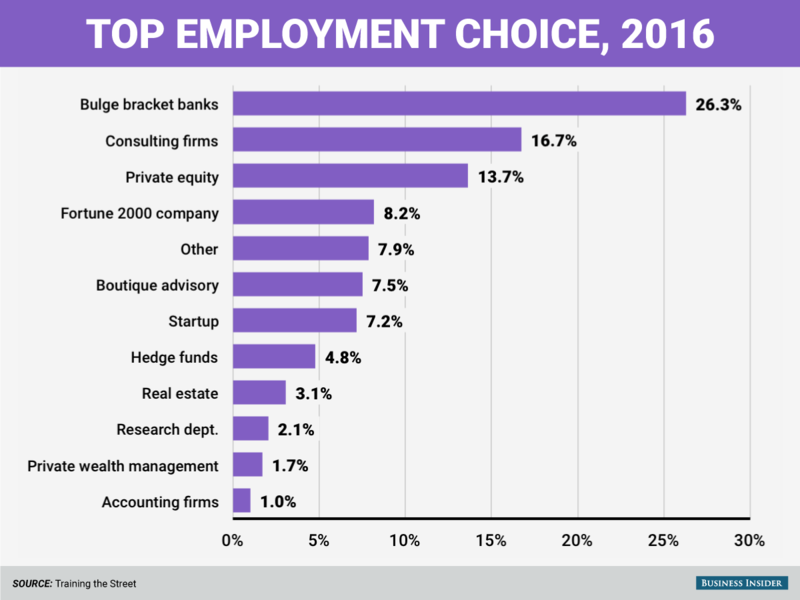 Business Insider: "Here's where MBA students want to work the most"
More than a quarter of business school students want to work for large investment banks, but increasingly more MBAs are setting their sights on startups, too. Bulge-bracket banks and global financial institutions came in first as the workplace of choice for 26.28% of respondents. 13.65% of respondents chose private equity firms, while 7.51% chose boutique banks. Of note, 7.17% of respondents chose startup companies as their choice place of employment – the highest percentage since Training the Street started providing that option in 2012.